Twice a week, Making A Mark gives an insanely talented artist some IADW brag-space. Today goes to Raf Marinetti, an Italian Photoshop sensation whose love of the ladies has made for some pretty eye-catching stunners all of their own. 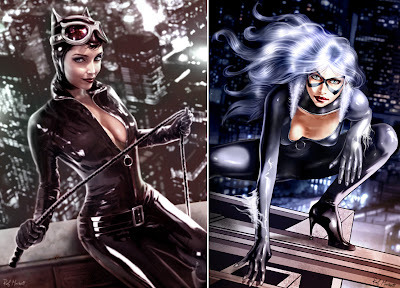 These two I wanted to place side by side to show how wrong the notion is The Black Cat 'is just' Marvel's Catwoman. Here while both show why investing in shares in latex will never be a dumb move, you can easily see the difference in character between the two felines. Raf's favourite female character, Selina would also be who I place my money on in a war between the two felines as well! Yeah, I'm still sitting on the fence in the case of making the video game Harley costume the in comic version too, but with pieces like this you could easily become a fan. Just where has the mallet gone? Harley's not Harley without the mallet! For more of Raf's Italian illustration, visit his gallery after the jump. well digital art is something i know a little bit about mate and i'd say this guy certainly captured the essence of the Poison Ivy character. 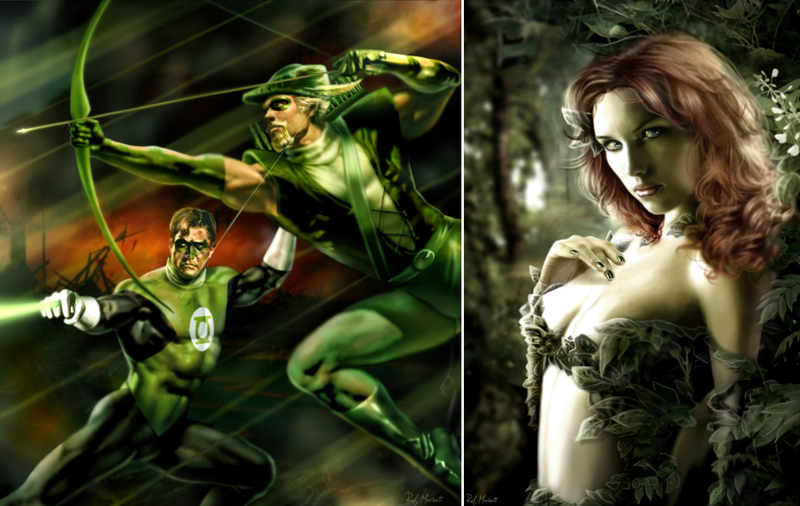 The GL/GA art compared to the Poison Ivy one looks like 2 different artists sat down and did those, but Ivy does look very hot in her's. 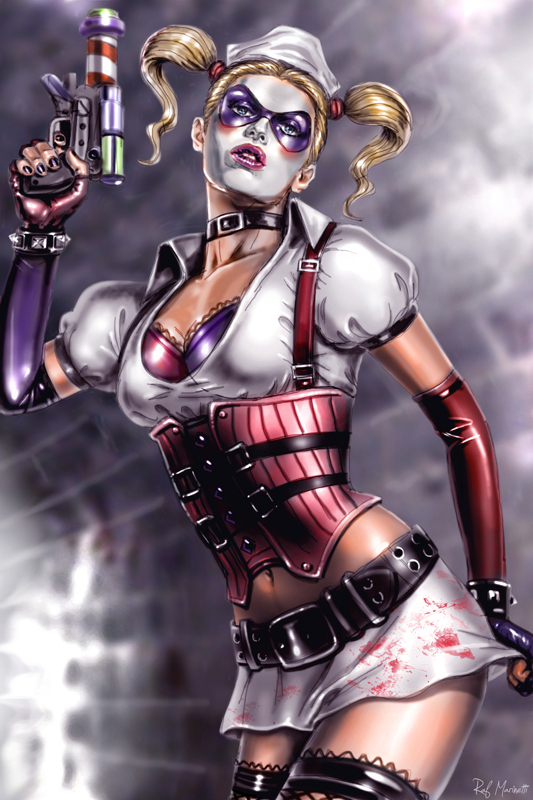 I agree w/ you about Harley's new outfit, especially if you haven't already seen her new SS one. Both aren't bad, but I do seem to really dig her Arkham one here over the SS one. I guess it gives her a more realistic feel than the other ones, but as I said, that's just me. Thanks folks! Aliera - I knew that was going to get me a bite the moment I typed it haha good to see Felicia has her believers! Dale and Dave, I agree Poison Ivy there almost takes on photo realism doesn't she? I'm jumping on the Ivy bandwagon too, but that Selina is definitely second place.